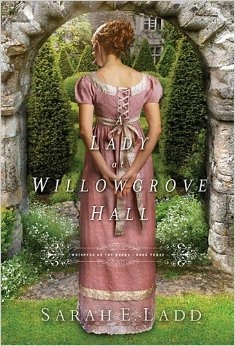 I loved A Lady at Willowgrove Hall. Personally, I think it is the best of the three books in this series. The premise for this book is all about secrets, and how secrets left hidden fester, which is something I think many of us can relate to — that sense of guilt and pressure and fear that can overwhelm and suffocate us all to keep something hidden. It is really not worth it! There is SO much internal conflict going on in this book that the reader cannot help but feel deeply for Nathaniel and Cecily. It’s heart-rending! Many times, I wanted so badly to fix everything for them. The characters in this book, Nathaniel and Cecily, are so well-written and so realistic. How they deal with their internal struggles is so real to life. The writing for this novel is superb. The imagery is flawless. It was like I was inside the story walking the moors with Cecily, and walking through the halls of Willowgrove. I highly recommend this series, and absolutely recommend this novel! Nathaniel Stanton has a secret of his own—one that has haunted him for years and tied him to his father’s position as steward of Willowgrove Hall. To protect his family, Nathaniel dares not breathe a word of the truth. But as long as the shadow looms over him, he’ll never be free to find his own way in the world. He’ll never be free to fall in love. TRUTH-STAINED LIES by Terri Blackstock. It is the story of a family in crisis that sticks together and helps each other overcome their brother’s being charged with murder. I read this book long ago when it first came out, and I recently listened to the audiobook. 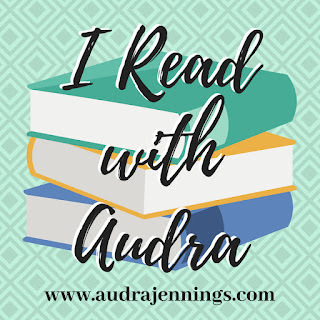 I loved it both times because it is a good story, with suspense that kept me enthralled and the clean read that I desire in all of my books (although that is getting harder and harder to find). Thank you for sharing, Vickie. I will have to check this book out. I have heard of Terri Blackstock, but I’ve never read one of her books yet. And, I know what you mean about it getting harder and harder to find good, clean reads! Hope you have a great week! I’ve been wanting to read a Sarah Ladd book! I’ve heard she’s a good writer. She is a great writer! I hope you can get to one of her books in the near future. You won’t be sad that you did. Thanks! And, I hope you have a great week too. I haven’t read this one yet but have the series on my TBR! You will love it, Becca! What a gorgeous cover, and I’ve always wanted to try this author. I’m taking note of this series. Wonderful review! Sounds like a good book & one for the tissues. Thanks for sharing! I really enjoy books set in this time period. It sounds a bit like Jane Eyre! Regency-era is my favorite too!